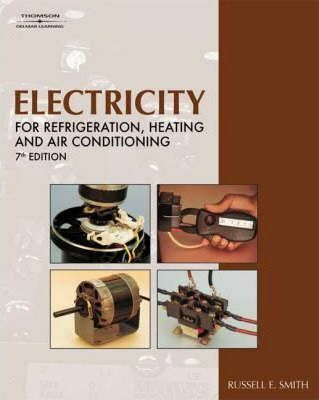 Ideal for students and beginning technicians, Electricity for Refrigeration, Heating and Air Conditioning, 7E zeroes in on the basic electrical principles necessary to understand today's modern control systems. This extraordinarily practical approach allows readers to focus exclusively on the electronics information they will use in the field, without bogging them down in unnecessary theory. Chapter 9 includes new information on motor frames and electronically commutated motors, ECM. Such as the circuits being discussed in schematic diagrams, as well as the direction of the current flow within circuits. As in past editions, emphasis is on developing systematic diagnosis and troubleshooting methods and procedures in order to enable readers to become highly-skilled, professional HVAC-R service technicians. A comprehensive glossary is also included to assist those who are new to the field in understanding and using industry terms.